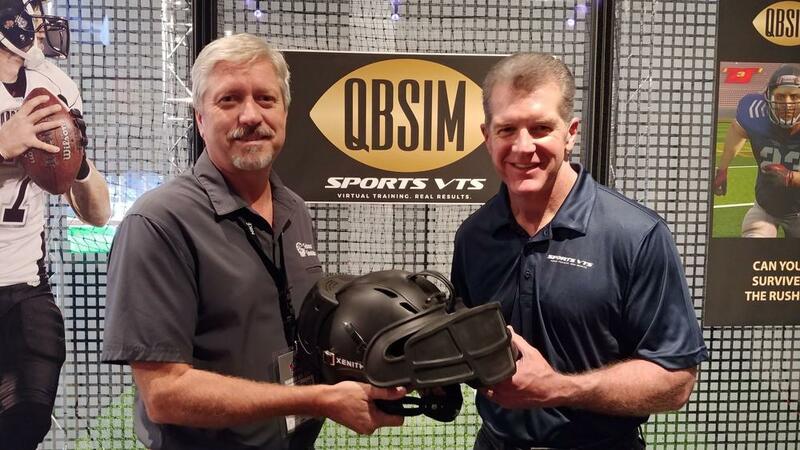 Serious Simulations CEO Chris Chambers, left, poses with Sports VTS CEO Ted Sundquist. An Orlando entrepreneur partnered with a former NFL executive to build a virtual reality headset that the company showed off during this month’s Hall of Fame induction ceremonies in Canton, Ohio. Serious Simulations created a display mounted onto a helmet that gave fans a glimpse at life as a quarterback through a wireless helmet and a 40-foot-by-40-foot playing area.